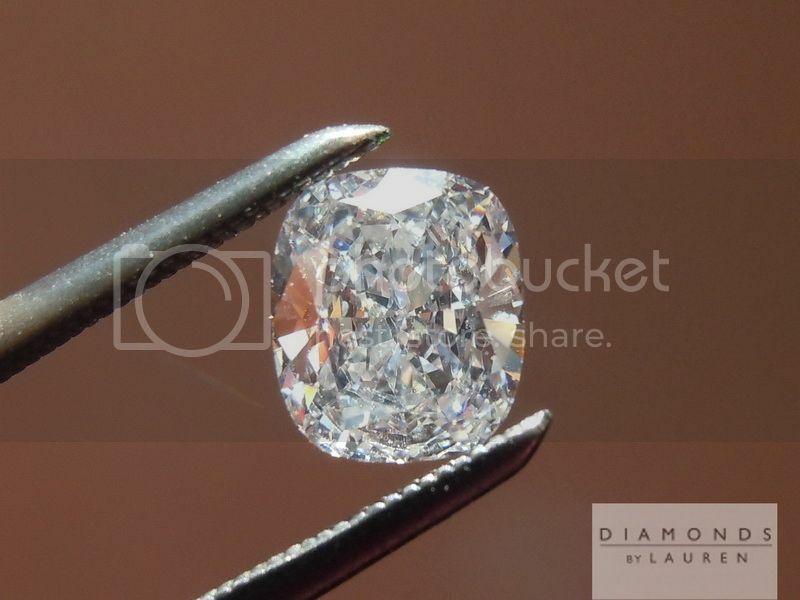 I say, take advantage of the diamond grade/price structure. 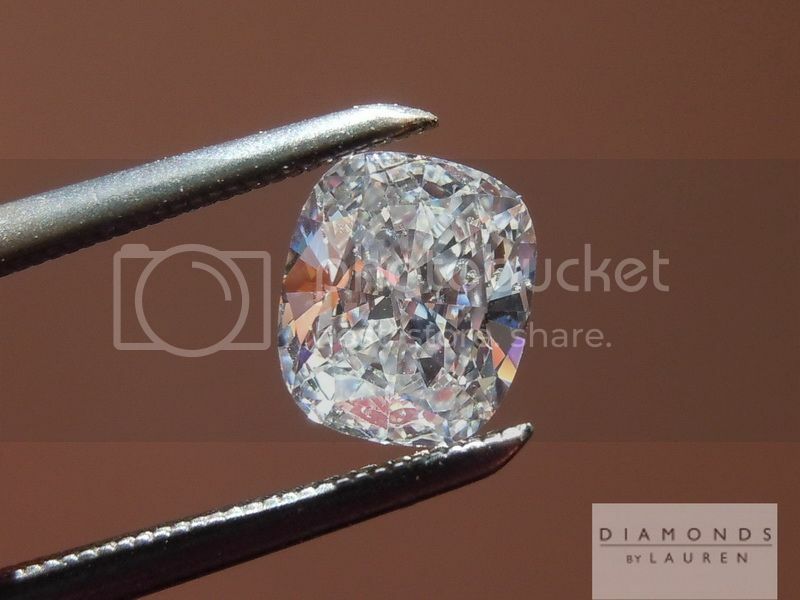 You see, once you understand that clarity grading is a objective observation - that is to say,GIA is not saying an SI2 is any less pretty than an internally Flawless. 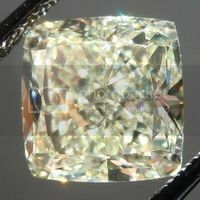 The clarity grade merely notes the presence of imperfection - as opposed to its visibility. 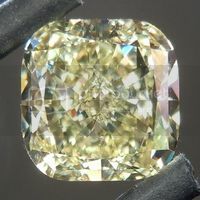 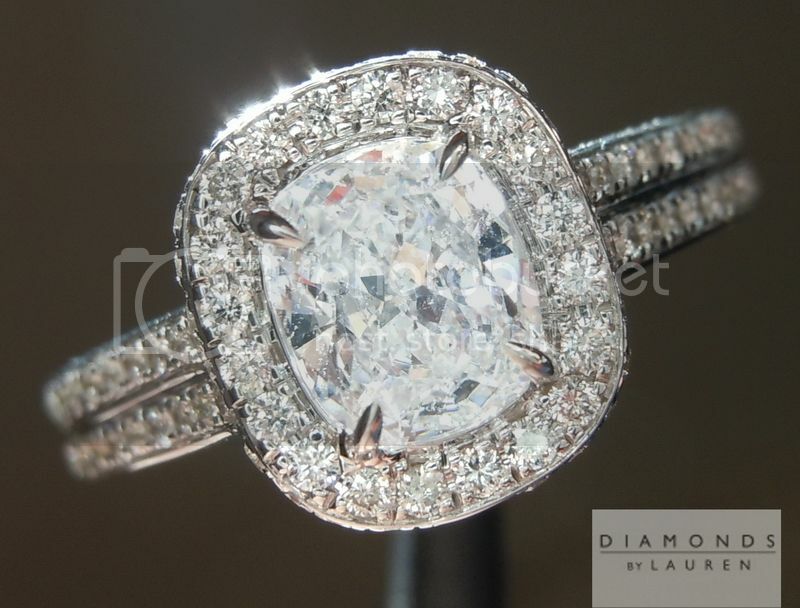 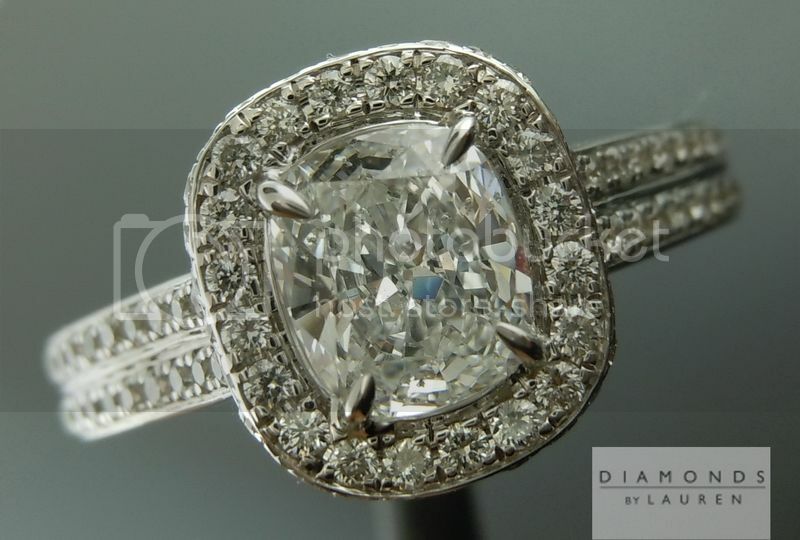 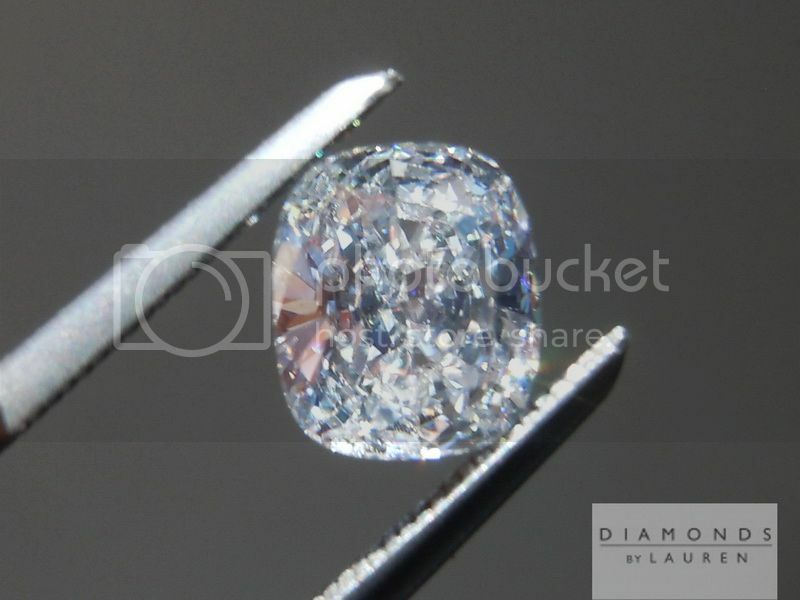 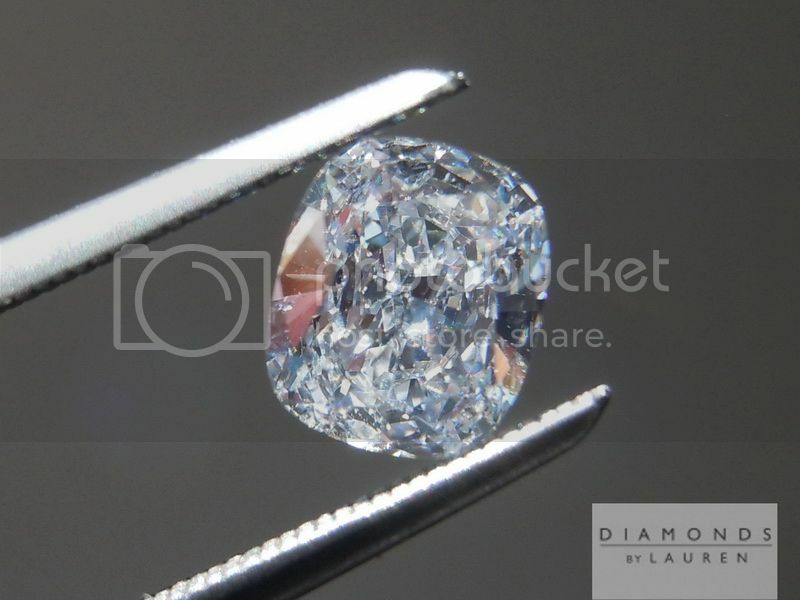 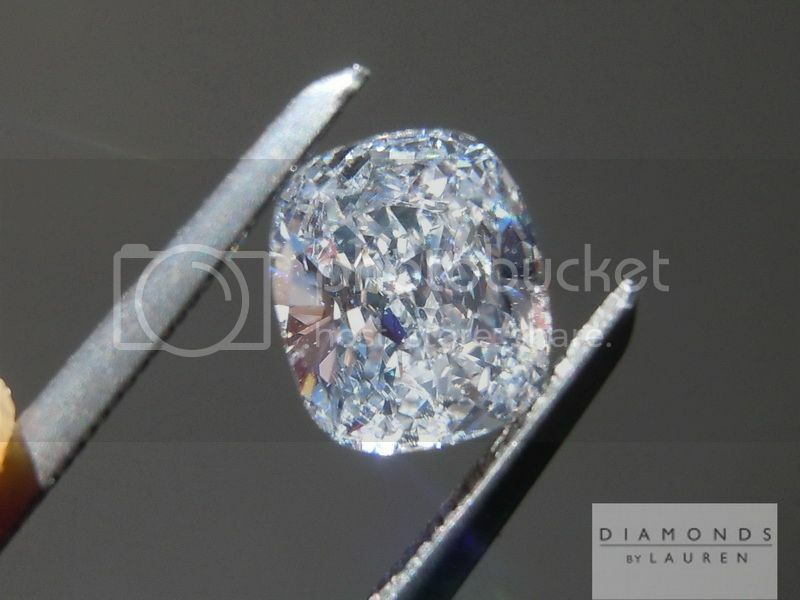 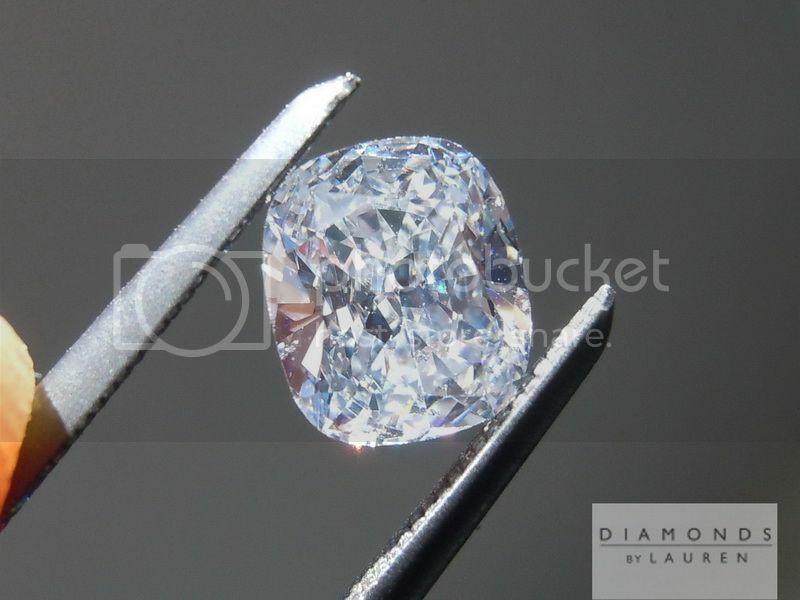 The imperfections in this particular cushion diamond are widely dispersed. 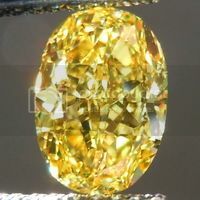 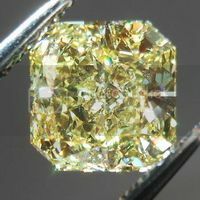 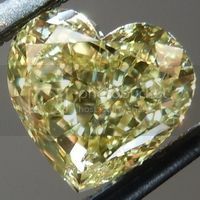 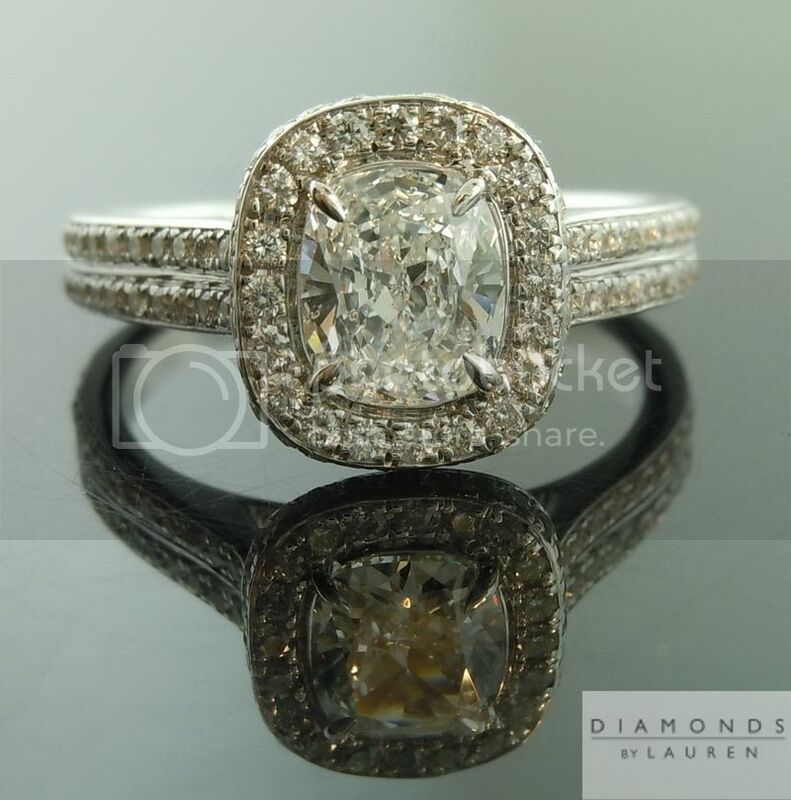 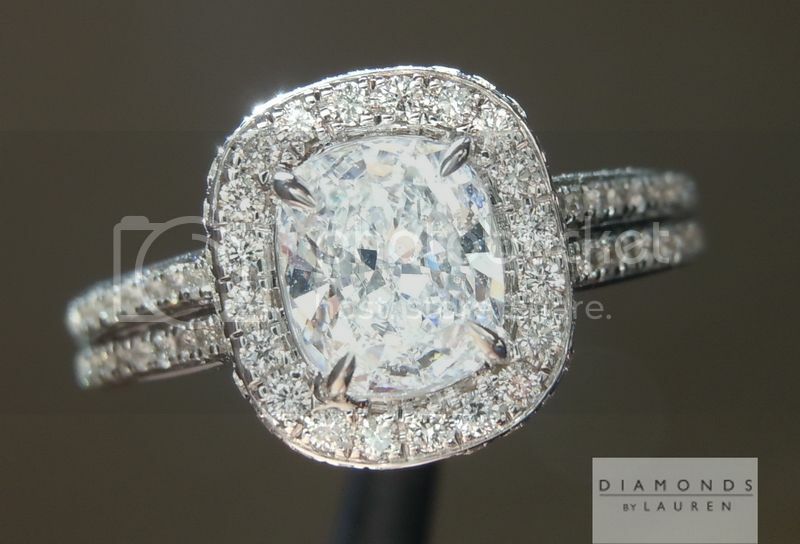 In fact you might actually prefer this stone over a diamond with higher clarity, if you like other characteristics of the shape and cut of this stone better. 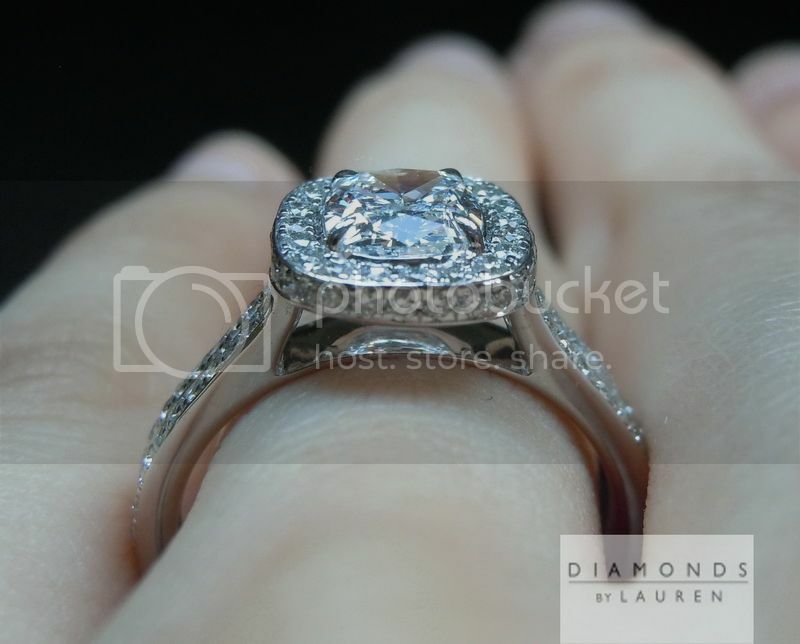 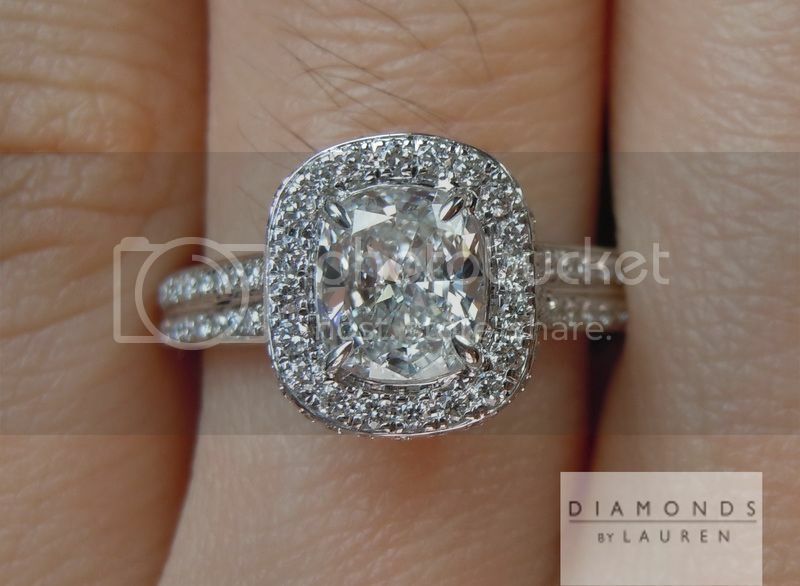 Seriously, the diamond also looks a very nice size for its weight. 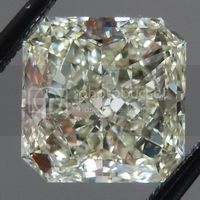 I love to find stones like this that offer such nice value. 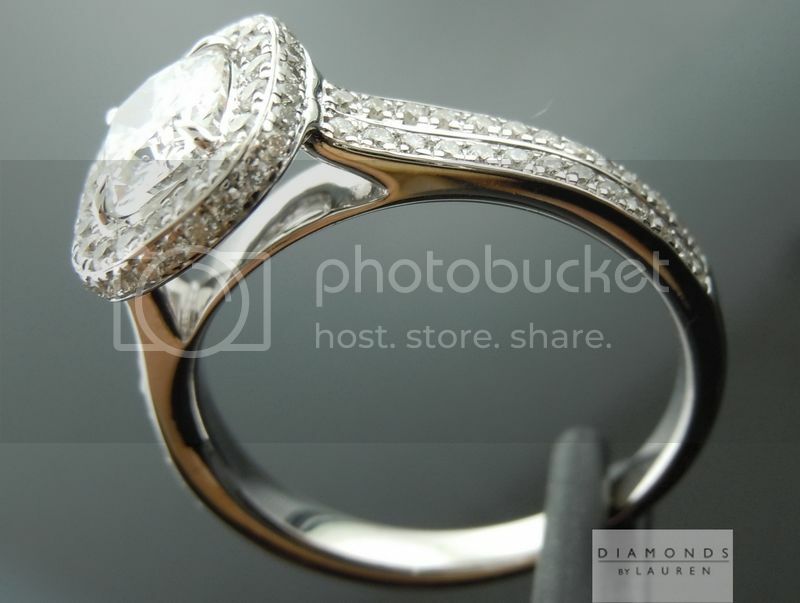 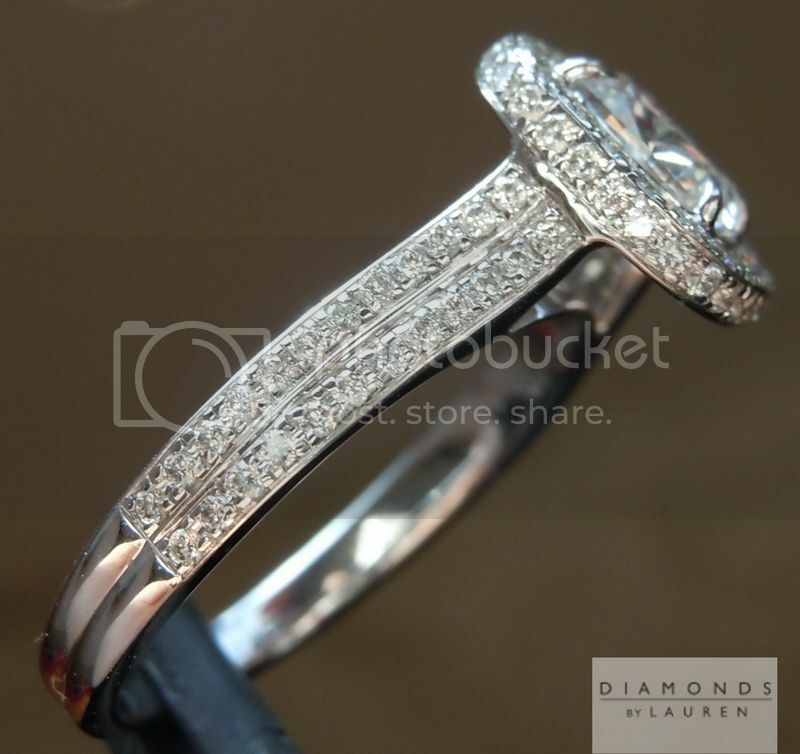 The stone really comes alive in this lovely design. 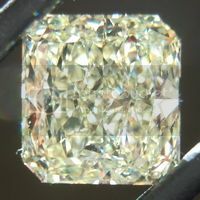 The D color looks impossibly white in the setting. 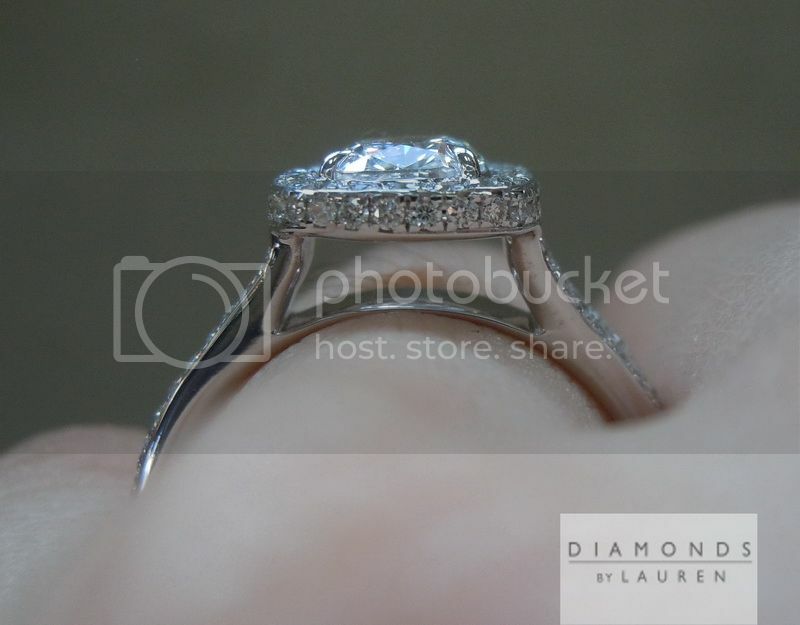 The ring also adds a lot of visual size. 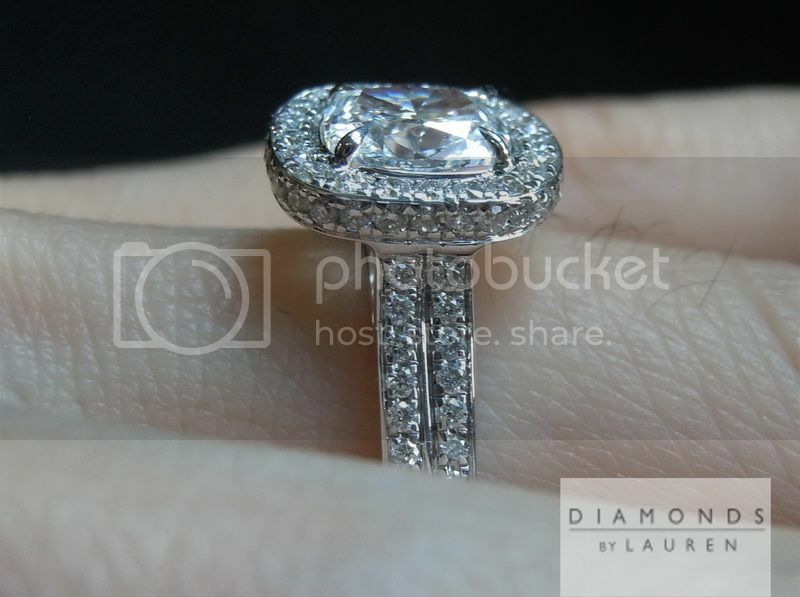 The outward facing melee on the halo are a really nice touch - as is the double shank - there is a lot of sparkle there. 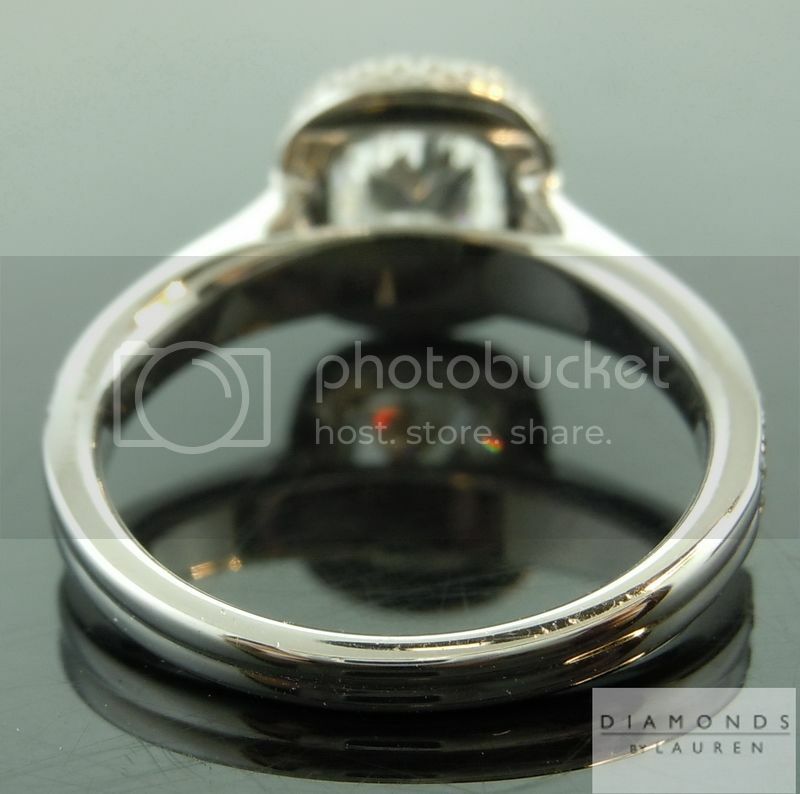 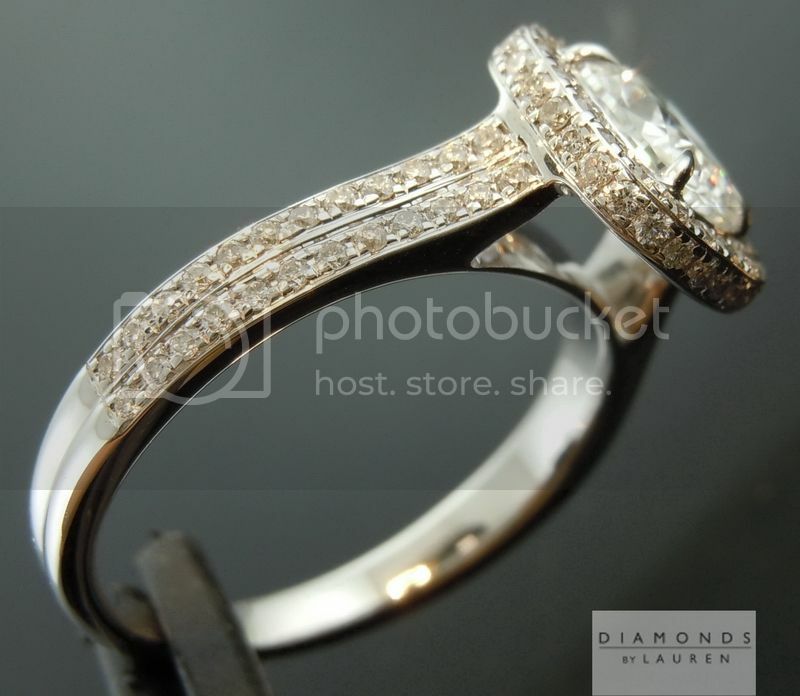 The design allows for a straight wedding band to we worn flush. 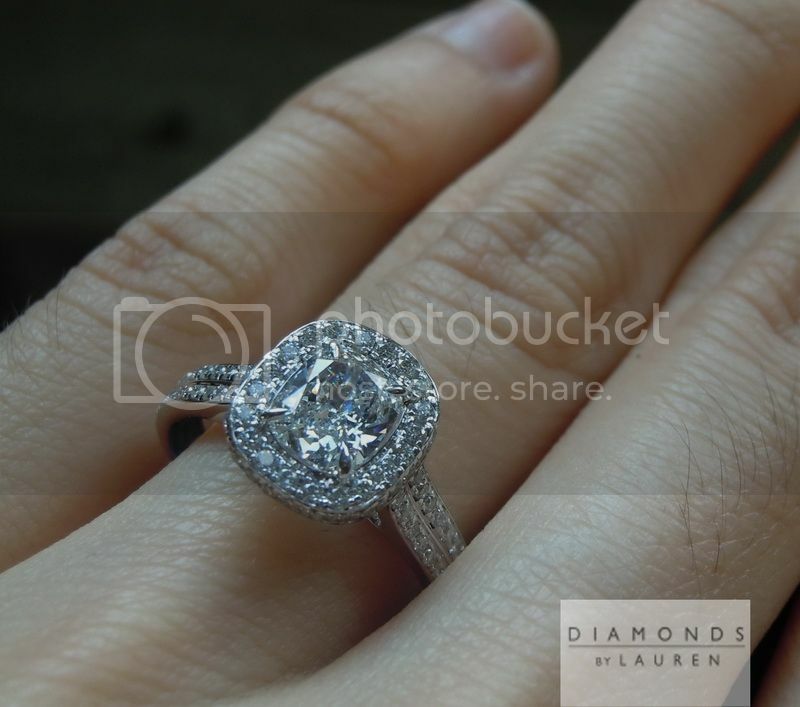 The ring feels amazing to the touch.